In a recent article from The Globe and Mail, the Weather Network’s chief meteorologist, Chris Scott, has advised Ontarians to expect a winter similar to last year’s. While we should expect below-average temperatures and near-normal precipitation for most of the region in January and February, “December is going to be a very tumultuous month. A lot of roller-coaster weather patterns, ups and downs in temperatures,” said Scott. Ensure you are ready for the season by choosing Draglam Salt as your Partner in Performance this season. Call 416.798.7050 or contact your Account Manager today! The G&L Group’s Earthco Soil Mixtures has been a part of a revolutionary sustainable park development in West Don Lands since 2007, and is excited to report that Corktown Common has just won an international award presented by renowned magazine Popular Science. Every year, Popular Science highlights innovation around the world in their "Best of What's New" list. Corktown Common, as a park that recycles rainwater, received a nod in the Green category. "[We] look for things that are truly innovative--creative solutions to seemingly intractable problems. Corktown Common fit both of those criteria, while also turning an industrial area into a green space that benefits both people and wildlife," said Jennifer Bogo, Executive Editor at Popular Science. G&L Group has always been a champion of sustainability in all our businesses, and is proud to be a part of this award-winning environmental marvel. Earthco looks forward to continuing our work with Corktown Common and the entire West Don Lands revitalization project. Earthco Soil Mixtures is proud to have donated soils to the new June Callwood Park, which opened on Saturday, October 4, 2014. The 0.4-hectare park, located at 656 Fleet Street in the Bathurst/Lakeshore area, fills a narrow strip of space between condominium towers in the Fort York community. Earthco got involved when Landscape Ontario approached the company to donate soils for the gardens, planted by the Garden Club of Toronto. Earthco is happy to support this park in honour of the late June Callwood, a celebrated Canadian journalist, author, and activist who died in 2007 after making major contributions to the cultural scene in Toronto. We visited the world's largest salt mine, following the mineral from the tunnels under Lake Huron to our dinner tables and driveways. Laura Zilke takes a look at how the snow is affecting businesses across Toronto. Additional Services to Serve You Better. Dump a tri-axle load of snow for $50 per load. Contact Rob at 416-891-7263 for dump tickets. G&L Group offers Truck Rental Service. Arrange tri-axle truck rentals with our Dispatch Department for $90 per hour with a 4 hour minimum. Call 416-798-7050 for details. In the wake of one of the biggest ice storms and continual snow falls in Ontario, there's an unprecedented demand for both bulk and bagged salt and all de-icers. "It's created a system-wide shortage," says Fred Persia, director of sales and marketing at Innovative Surface Solutions in Ajax. Suppliers are currently serving regular customers first, with priority given to prepaid customers who secured their allocation in pre-season. Municipalities are on top of the list, with small contractors the first to feel negative influences on supply. Persia says the problem is short-term, and doesn’t expect it to last much longer. He added that he was pleased to see that nobody in the industry is ‘gouging’ and taking advantage of the situation. 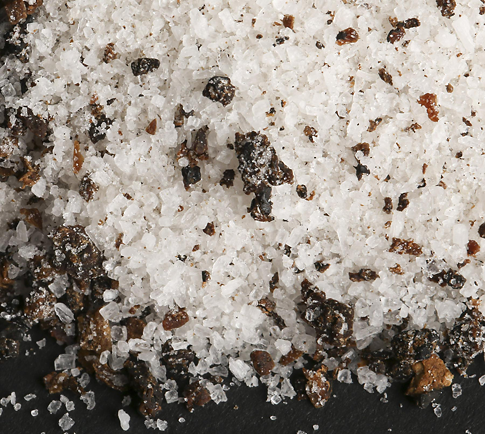 The last salt supply issue came in 2008, when supplies drastically declined. Issues back then prompted Landscape Ontario to create a Standard Form Snow and Ice Maintenance Contract that offered some defense against slip-and-fall liability during a salt shortage. To strengthen the slip-and-fall defense, Kennaley encourages contractors to place the decision squarely on the property owner as to which ice-melting method (if any) to use in the event of a salt shortage. This requires discussion of various alternatives and owner’s written consent. “We want contractors and owners to understand, and make clear in their maintenance contracts, that the contractor is only hired to do what he or she is paid to do. Where the owner ‘makes the call’ and decides to pay for an option that does not best manage the risk of a slip and fall, the responsibility for that decision should lie with the owner,” he explains. Ontario salt mines are found in Goderich and Windsor. Goderich is the largest salt mine in the world. To locate salt suppliers, see LO’s Source Book at www.ltsourcebook.com. Firstly, we wanted to thank you for choosing Draglam Salt as your preferred deicing partner during the 2013 – 2014 winter season. Our winter season has been unrelenting following Toronto’s Ice Storm, hailed as one of the city’s most damaging storms. Freezing rain and ice blanketed the city and surrounding areas. As a leader in the deicing industry, we have been on hand to assist our clients with their deicing salt needs. Due to the unprecedented nature of our winter season, and the amount of bulk and bagged deicing salt needed to effectively combat the weather, Draglam Salt is currently facing a salt shortage. Local supply has been depleted and we are exploring all of our alternatives at this time. Draglam Salt is working diligently with our suppliers located throughout North America to help us meet the needs of our customers, continuing to work tirelessly in order to receive new shipments of salt and deicing products. However, due to the rise in our transportation costs and the ever-growing demand for product, we have been forced to increase our salt prices. We acknowledge the inconvenience this may cause and appreciate your understanding. During this time of demand, we suggest looking to alternative products to offset the limited supply of bulk rock salt. Consider applying Sand/Salt Mix to roads, parking lots and walkways which works to improve traction. We also have bagged deicers and calcium chloride products stocked and available for sale which are often more effective in these deep freeze temperatures. We thank you for your patience and sincerely appreciate your business. On the night of Tuesday, January 7th, Draglam Salt and Earthco Soil Mixtures took to the stage as presenting sponsors at Landscape Ontario's annual Awards of Excellence. The juried competition is a night dedicated to recognizing and inspiring industry professionals in the advancement, achievement and improvement of landscape design and construction. Over the years, the Awards of Excellence have allowed companies to market and set themselves apart from the competition. The awards also allow companies to support and recognize their peers within the industry, working towards better staff retention and employee morale. The Awards handed out this year included, Best Landscape Construction, Best Landscape Maintenance, Best Landscape Design, Best Landscape Irrigation, Best Interior Plantscaping, Best Garden Centre and Best Growers. Draglam Salt, Earthco Soil Mixtures and the G&L Group family were honoured to be part of a night celebrating our industry peers, and look forward to next years' awards and festivities.